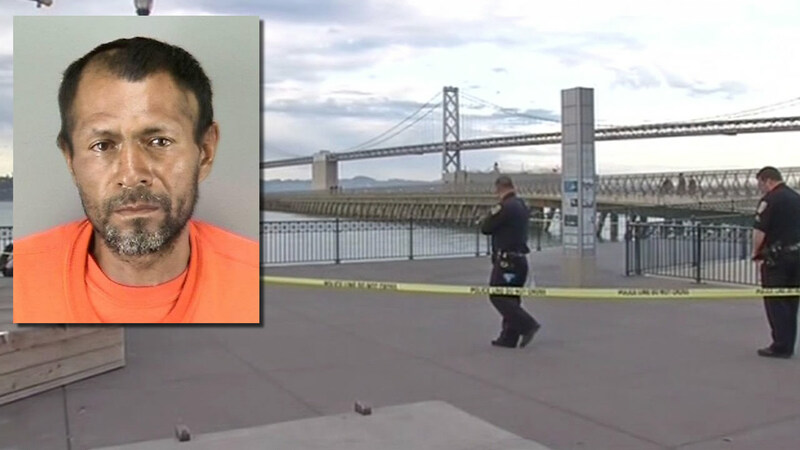 SAN FRANCISCO -- Jose Ines Garcia Zarate, an immigrant acquitted of killing Kate Steinle at San Francisco's Pier 14, was sentenced to three years in jail for gun possession but will get credit for time served. Garcia Zarate was found not guilty of murder, involuntary manslaughter, and assault with a deadly weapon in connection with the July 2014 shooting death of Steinle. He was, however, convicted of being a felon in possession of a firearm. After his acquittal, a federal grand jury indicted Garcia Zarate Dec. 5 on the charges of being a felon in possession of a firearm and ammunition as well as being an "illegally present alien" in possession of a firearm and ammunition. "Mr. Garcia Zarate is grateful to have been exonerated of murder, as he has no history of violence. He is also grateful to Tony Serra for taking his case," said Chief Attorney of the San Francisco Public Defender's Office Matt Gonzalez.